Your teeth can serve you for a lifetime with the right care over the years. Although your toothbrush and floss are crucial for protecting your smile, they are not enough. The American Dental Association also recommends you visit your dentist in Astoria twice a year for a teeth cleaning and dental checkup. ED Family Dental provides the complete preventive services you need for a lasting, healthy smile. Too often people believe they do not need a dental appointment until after an issue arises, but this could not be further from the truth. Routine dental care allows us to remove harmful accumulations that can lead to common oral health concerns, like tooth decay and gum disease. This lessens the need for costly treatments down the road. We can also detect problems while they are still small to provide early intervention. In fact, every $1 you spend on preventive care can save you $8 to $50 on restorative and emergency services. Often, you can get the services you need for little to no out-of-pocket expense using your dental insurance. We will help you maximize your policy to reduce the amount you need to pay. Brushing and flossing your teeth are your first line of defense against preventable oral health issues. Although they are effective, there are areas in your mouth they cannot clean, which can cause plaque and tartar accumulations. If the buildup is not removed, it significantly increases your risk of tooth decay and gum disease. Our dental hygienist uses special dental tools to remove plaque and tartar from the surfaces of your teeth and around the gum line. She finishes by polishing them, so you can walk out of our office with a beautiful clean smile. 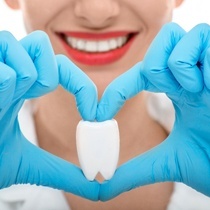 Our hygienist takes the time to discuss your current oral hygiene habits and discusses recommendations to keep your smile healthy between appointments. We may also suggest additional preventive treatments, like a fluoride varnish. During your appointment, you enjoy a comprehensive checkup that also includes digital x-rays. Dr. Shkurti carefully assess your teeth, gums, and oral structures to look for any concerning areas. 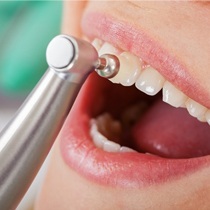 He checks your oral tissues to look for any indicators of oral cancer while also monitoring the function of your temporomandibular joint, which connects your lower jaw to your skull on either side of your face. Dr. Shkurti reviews the digital x-rays to look for any issues that may be brewing beneath the surface, such as infections. Based on his findings, he creates a customized treatment plan to keep your teeth and gums healthy. If he recommends any procedures, Dr. Shkurti explains the benefits and the treatment process to help you make the best choice for your smile. The quick action prevents the problems from worsening using minimally invasive solutions to protect the health of your teeth and gums. If it has been more than 6 months since your last cleaning and checkup, do not wait until a complication occurs. Contact ED Family Dental today to schedule your preventive appointment.